Multiple myeloma (MM) is a cancer of plasma cells from B lymphocytes. Multiple myeloma generally has no obvious symptoms in the early stage, so what are the symptoms of multiple myeloma? 1. 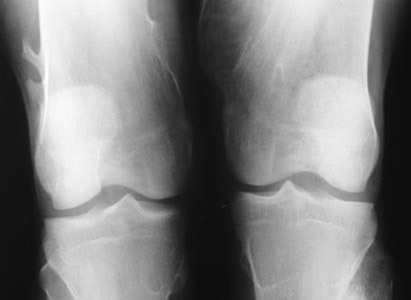 Bone pain: it is a main symptom. Bone pain most commonly involves the spine and vertebrae, and then ribs. It is manifested as intermittent pain in the beginning, gradually becomes persistent pain, and worsens with activity. 2. Infection: repeated infection is often caused, often occurring in the lung, urinary system, skin, sinus, etc. It is more common in the advanced stage or in the process that chemotherapy is undergone, manifests as intractable infection, not easy to be controlled with medication, so it often becomes the main cause of death. 3. Anemia: it results from the damage of hemopoietic system by infiltrating tumor cells and inhibition of normal red blood cell production. Almost all patients have different degree of anemia. 4. Renal dysfunction: it usually occurs in the early stage and about 20% of patients develop renal dysfunction, causing uremia which leads to death. 5. Immunoglobulin abnormality: a large number of monoclonal immunoglobulin makes the viscosity of blood increase, resulting in slowing of blood flow and microcirculation disorder. These kinds of patients will develop errhysis of capillary or bleeding, numbness of limbs, cerebral dysfunction, etc. 6. Neurological symptoms: when tumor infiltrates or compresses nerves, spinal cord and other parts, there will be corresponding symptoms appearing, such as paralysis, urinary retention, neuropathic pain, numbness of limbs and movement disorders, etc. 7. Other symptoms: such as high calcium deficiency, hepatosplenomegaly (enlargement of liver and spleen), amyloidosis (AL), a few patients with cryoglobulinemia will develop secondary Reynaud’s phenomenon. Experts from Modern Cancer Hospital Guangzhou remind you: if found suspected symptoms of multiple myeloma, you should go to hospital for examination and treatment immediately.